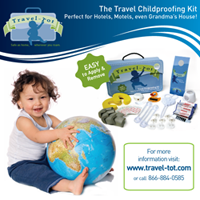 Travel-Tot: Tips and Tricks for Packing Your Car! Love road trips but hate packing for them? We've got you covered! 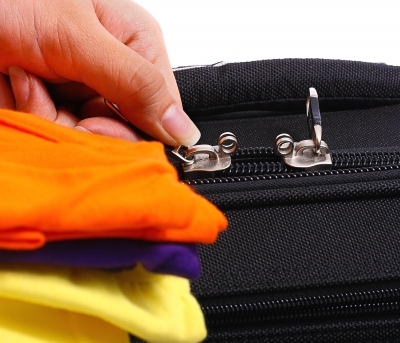 These helpful guidelines will help you streamline the whole packing process and speed you on your way! Pre-pack purge and prep: Before you start packing, remove everything from your car (including the trunk!). While the vehicle is empty, check that you have a jack and spare tire, and that both are accessible and in good working order. Give the whole interior a quick wipe down and vacuum! Insist on the list: A list is a great way to ensure you have packed everything you need, without over-packing; it will also serve as a great tool when you pack up for the return trip, potentially saving you from inadvertently leaving something behind - so make one up before you start throwing stuff in bags! Bottom's up: Pack what you will use last on the bottom or in less easily accessible areas, then work upward and forward, making sure the items you pack on top or toward the front are the ones you will need while en route (i.e. snacks, games, first-aid kit, medicines, wipes, extra outfits in case of emergency, maps, etc.). Change up: Always keep cash handy; and it never hurts to bring along a few rolls of quarters in case you have to stop and do a quick load of laundry on the way! Chill out: Consider packing a cooler for items that need to be refrigerated; use frozen water bottles, juice packs,or GoGurts® as ice packs. Prescription for success: If you are packing medicines be sure to bring a copy of each prescription and follow storage directions (i.e. keep out of sunlight, refrigerate, etc. ); also, be sure to carry a list of any allergies or medical conditions for all family members. Safety first: Don't forget to bring along emergency preparedness items, such as: a basic first aid kit, a roadside emergency repair kit, bottled water, a cell phone, your motor club membership card, and a travel childproofing kit for overnight stop-offs along the way! Think outside the box: Free up precious car space by using vacuum storage bags instead of traditional luggage. Vacuum storage bags are perfect for packing clothes, pillows, jackets, and other bulky items more compactly! Smaller size slide lock baggies are also great space savers; store everything from toiletries to snacks! Best of all, once the contents have been used or removed, the slide lock baggies can be re-purposed for storing wet items until they can be dried or disposed of (bathing suits, wet diapers, wipes, trash, etc. ).